Welcome to the Photo-Badge.com, a site that lets you create badge designs online! Photo-ID badges have become a standard part of everyday life. They provide instant identification and can be used to track employees, provide access to secure areas, and enhance security. Photo-Badge.com is the fastest and most convenient way to make professional-quality custom-IDs – it’s quick, it’s easy, and it’s economical. More than 100 different designs, both landscpae and portrait designs. You will be able to upload your logo and change background graphic in subsequent steps. All photo id badge accessories such as breakaway lanyards, beaded lanyards, badge holders, clips, badge reels etc. Shows those photo id badges which you had created earlier, but didn't added them to the cart, yet. Who are your customers talking to? 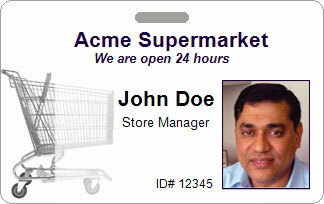 Get professionally engraved, economical name badges for your staff. Available in 20 colors, four sizes and a variety of attachments. Get expert guidance on making professional ID badges that are durable, vandal-proof, and enhance security. Compare models and find the best prices online. 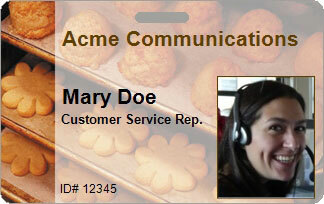 With photo-badge.com you can custom create and personalize photo ID badges and identification cards online. 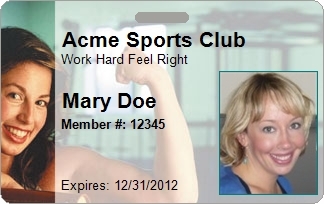 It’s easy to create a single ID badge or to customize multiple photo ID cards at once. It only takes a matter of minutes. Our personalized ID creation system utilizes state-of-the-art XpressMyself technology, a web-based software system that specializes in creating customized designs online. 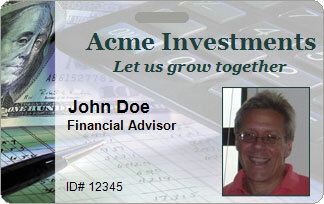 Our online software makes it easy to personalize your photo ID cards so that they look the way you want them to. 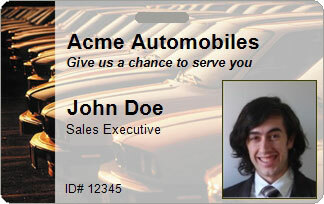 Using Photo-Badge.com, you have full control over your card’s design. To enhance security, you have the option to add barcodes and magnetic stripes (mag-stripes) to your personal ID badges. Once you have designed your IDs and placed your order, your photo ID badges will be printed on plastic cards using fargo or datacard card printers. Photo-badge.com is perfect for making employee IDs and badges that can be used to regulate access. You may access our online badging tutorial and quickly understand how our badging system works. Don’t wait, start badging now! 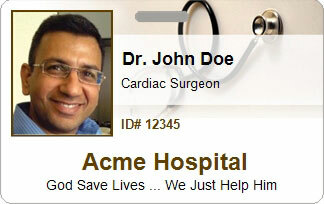 Photo-badge.com is the quickest and easiest way to make professional-quality custom-IDs. We are one of the pioneers of online badge-making. 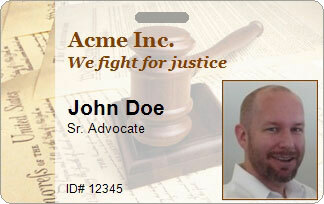 For over twenty years, we’ve been taking orders and making photo-IDs online. Over the years, we’ve refined our web-based design software to make it versatile and easy to use. We will walk you through every step of the design process so that you end up with an ID card the suits all of your needs. And it will only take a matter of minutes. 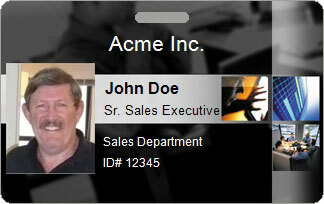 Why are we the Web's Leader for Photo ID Badges? Quick - The entire design process, from start to finish, takes a matter minutes. Here’s how it works. Choose a card design from our design library and customize it to meet your needs. Once you are happy with they design, simply input the information that you want to appear on the card – first name, last name, ID number, photo etc. 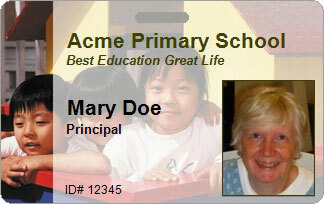 The same design can be used multiple times to make matching ID cards for a group of people. When you’re finished, just check out and confirm your order, and your ID cards will be delivered to you in as little as 24 hours. Easy - Our user-friendly software walks you through the process step-by-step, so you are fully aware of all your options and can design an ID that suits your aesthetic and professional needs. Because our system is entirely online, you can order ID badges from anywhere in the world. All you need is a computer with an internet connection. 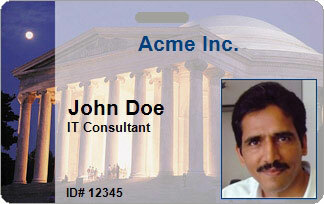 Economical - With Photo-badge.com, you will eliminate many of the costs associated with making high-quality photo IDs. You can make professional IDs without purchasing expensive plastic-card printers and without wasting resources training personnel to use and upkeep them. By ordering your photo-IDs online, you’ll save money and time by paying only for the cards you need. Need a Fake ID?... you’re in the wrong place. Please don’t try to make fake ID cards. We monitor every order we receive, and if we find an order for a fake ID, we WILL NOT print the card. Instead, we will inform the FBI (Federal Bureau of Investigation) and provide them with your billing information.